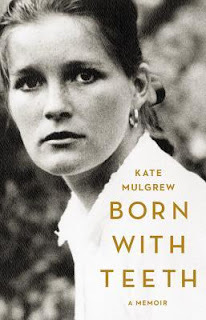 Born With Teeth: A Memoir by Kate Mulgrew was a definite change of pace for this reader. As a die-hard fiction aficionado, the thought of reading someone’s life story was a deliberate challenge which turned out to be a nice surprise. Born With Teeth is an interesting peek into the life of a passionate stage artist. The painful and poignant moments are delivered in sometimes stark yet poetic turns of phrase, so that even the most ugly incidents can leave you breathless with heartache, and impressed by Mulgrew’s strength and perseverance. The almost matter of fact description of some episodes, such as her mother’s illness and decline, almost leaves the reader wondering if the scenes were actually what you understood them to be. Was her friend a victim of child molestation? Did mother suffer from some sort of dementia, or just being her usual quirky, devil-may-care spirit? Ms. Mulgrew, known to this low-level Trekkie as Captain Janeway, turns out to be a strong and gifted actress who has lived her life full of energy and spirit who is haunted by regret and pain over the decision to give up a child for adoption very early in her career. I enjoyed Born With Teeth, it is an easy read that is powerful in its simplicity. 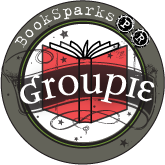 My reading challenge has encouraged this reader to pick up more books outside my usual go-to genres.